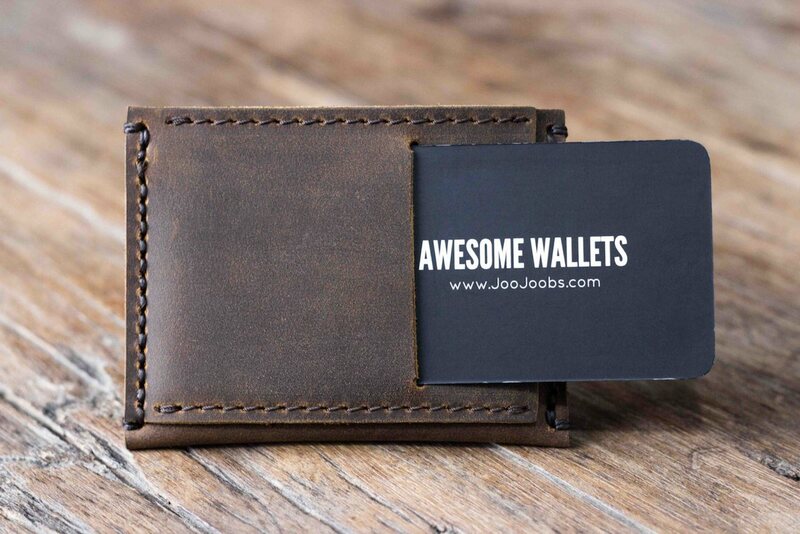 Minimize the bulge in your pocket with the Minimalist Leather Wallet by JooJoobs. 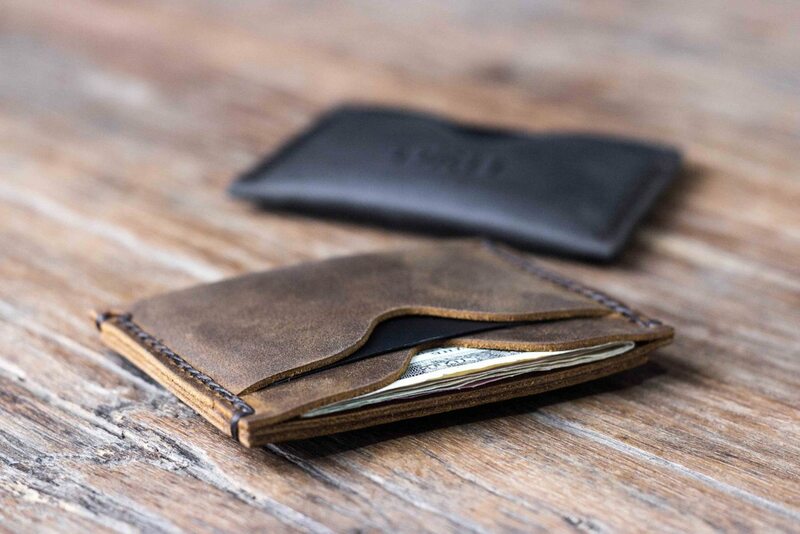 Made entirely with distressed, full grain cowhide leather, this folding wallet is exceptionally designed to keep everything inside safe and compact. 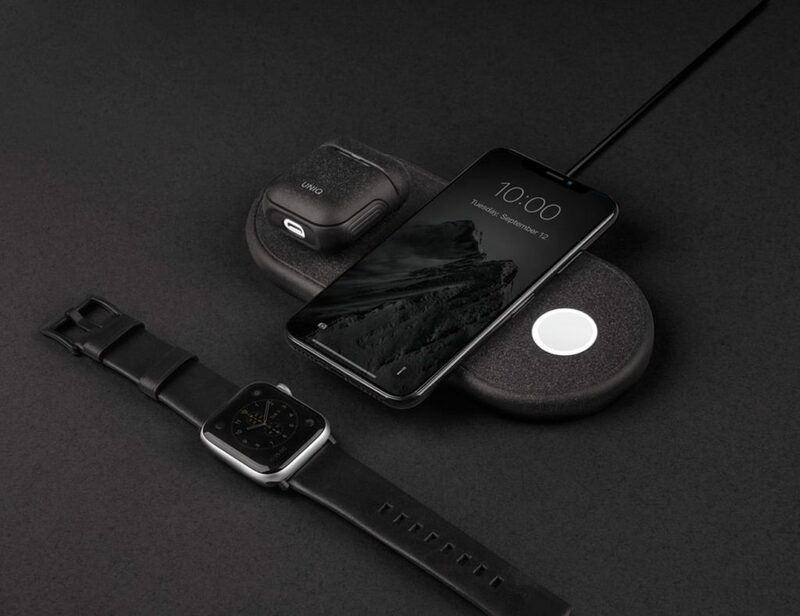 The Minimalist Leather Wallet has slots on the left and right side when opened with enough space for up to ten of your most used cards. Underneath these slots are two pockets which can perfectly stash some folded cash. 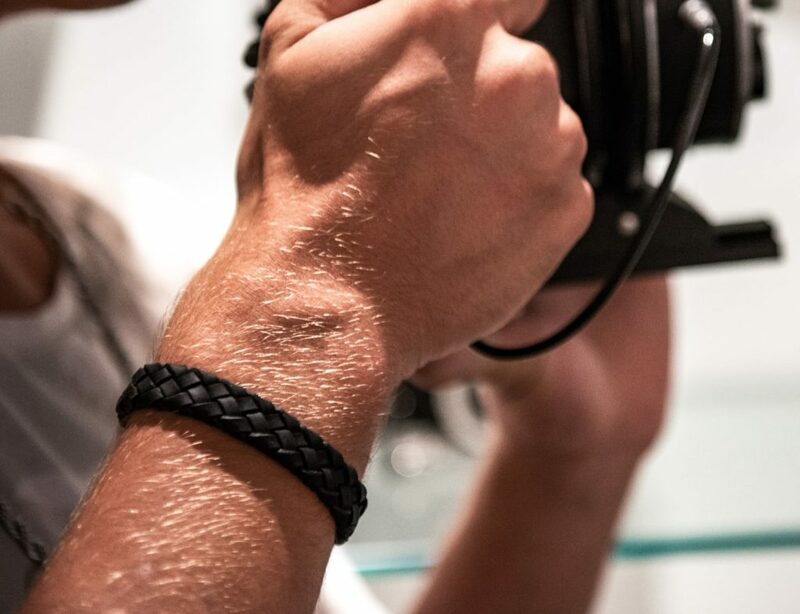 The Minimalist Leather Wallet is finished with stunning hand stitching, a signature staple of JooJoobs. 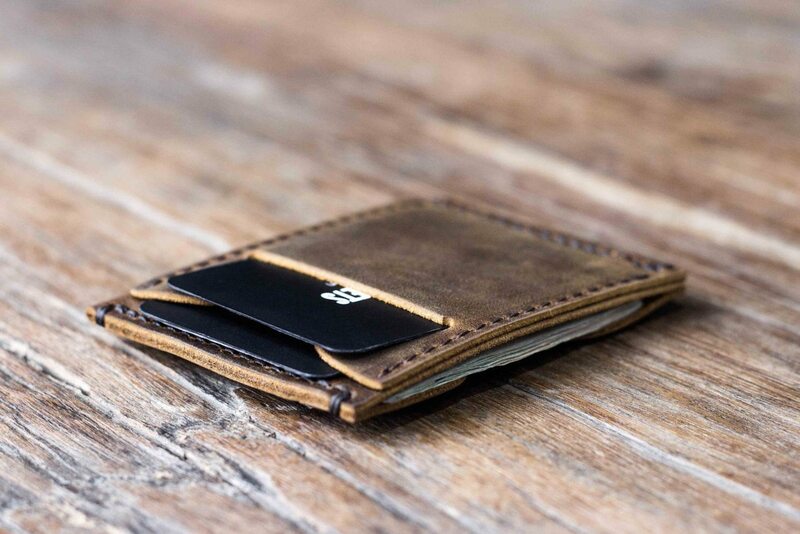 This wallet is slim and functional enough to be used every day to hold everything you need. 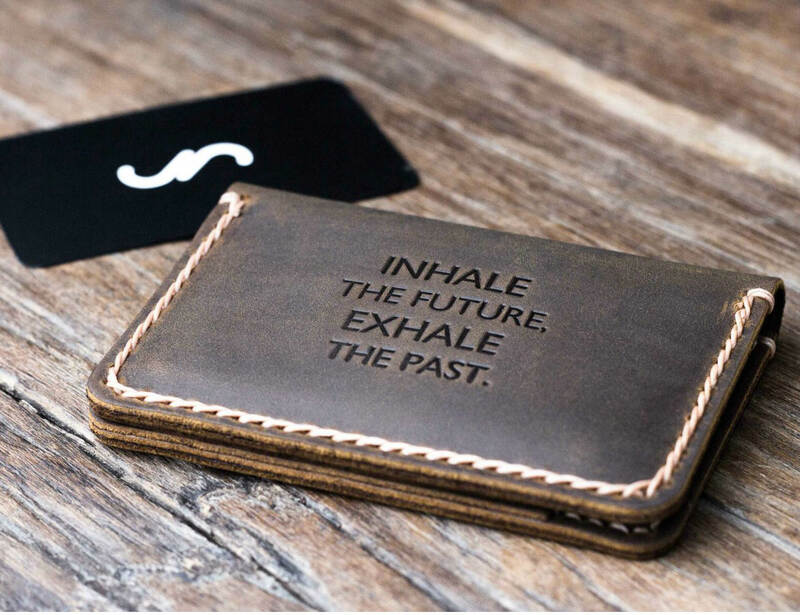 The Minimalist Leather Wallet can also be personalized with your choice of initials, a name, or a date.